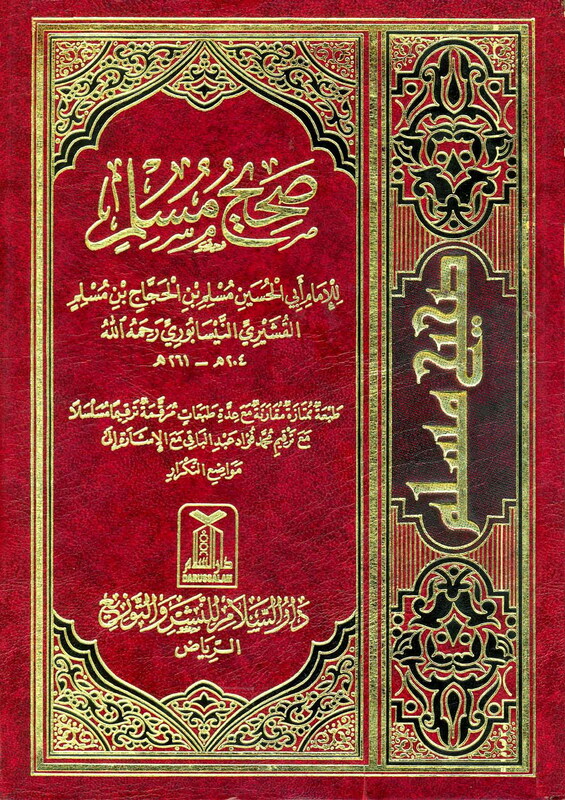 Moulana Amjad Ali Jafri has ; i)100's of Sunni published Arabic books printed copies , ii) Has scanned the title cover page & the relevant Hadith pages,for each of relevant hadith iii) Highlighed the particular hadith on the page & iv)has made /can make explanation in text /audio proving the point . The book of Allah, as a cord extended from heaven to earth, and My Itra [family], Ahlul Bayt. Even just before he died, in his room full of Companions. The Hadith is reported by more than 20 Sahaaba. The Hadith was a lot like a unique will by the Prophet (pbuh). It was a unique legacy to leave after he was gone from this world; since after the Prophet (pbuh) was to depart from this world he was leaving behind two most precious matters. He specified the Holy Quran as the most valuable asset to mankind, and he specified Ahlul Bayt,( his family) as the second most important asset he was to leave. The most precious matter for a Muslim is the Holy Quran. The guidance of the Word of Allah is the most valuable asset, so Muhammad (pbuh) was focusing people's attention to hold to the guidance of the Quran dearly. For it is through putting the Quranic guidance to practice that man can attain eternal bliss, more so in the eternal life. The Quran is described as a constant and consistent connection extending from the Almighty toward mankind, and the blessed connection will always be generous and bountiful to people who hold to it. But why, one may ask, did the Prophet (pbuh) associate Ahlul Bayt with the Quran, and why did he consider them second in importance to the Quran? The answer is that Ahlul Bayt would be the best source to explain the Quran's meaning, and correctly interpreting its numerous aspects. The Holy Quran includes the firm (Muh'kam محــــكـم ) and the non-specific phrases (Mutashabah مـتـــشا بـه ), and the abrogators (Al-Naasikh النـاســخ ) and the Abrogated (Al-Man'sookh الـمـنـــســوخ ), the brief الـمـجــمـل and the detailed الـمـســـهــب , in addition to numerous Ah’kaam احــكام , among other things. To explain these points correctly, immeasurable knowledge and exquisite thought become necessary, requirements beyond the grasp of most people. The Prophet (pbuh) knew Ahlul Bayt to be the fitting fountain of that position; since the Prophet (pbuh) taught the essence and the substance of the Quran to Ali. Besides, Ahlul Bayt had an unparalleled knowledge of the Prophet’s Sunnah سـنـــه رســـــول الله as no one would claim otherwise. Through Ali (their vanguard) they learned all about the Sunnah of the Prophet as the Prophet diligently taught it to Ali. Therefore, by spending all his life in the shadow of the Prophet (pbuh), and having been taught the Sunnah by the Prophet (pbuh), and having them put in writing, Ali left a magnificent legacy to Ahlul Bayt to draw upon for next 329 years, generation after generation. Ahlul Bayt were known to be the acme in integrity, honesty, sincerity and earnestness. They had immaculate character all the way through, and the Prophet (pbuh) knew that, since he was so informed by Jibreel (Gabriel). That is why so assuredly the Prophet put his family (Ahlul Bayt) second to the Quran in importance. Thus the Quran is to be the first and Ahlul Bayt the second [according to Hadith Al-Thaqalain]. This was attested to by Imam Ali in one of his Khutbas. The two are in close association and firmly held together, and both are to be followed and obeyed. This association was so important that the Prophet (pbuh) declared it on a number of occasions —to emphasize it in the minds of the listeners. Yet in this Hadith the Prophet (pbuh) questioned the manner people would treat the Quran and Ahlul Bayt in future generations. Would they hold to their guidance and recommendations, or would they instead mistreat them? The Hadith urges people to hold to the Quran and Ahlul Bayt, and appeals to the people to love Ahlul Bayt and emulate them. It wonders about whether people would be devoted to them or instead overlook them, or even be indifferent to their guidance and teachings. ▪ The model to mankind to follow and imitate, (and Ahlul Bayt proved to be the ideal). ▪ The vessel of salvation, not unlike Noah's Ark, for the ones who ignore it would spiritually perish. ▪ The security of the Ummah, against the Evil One.